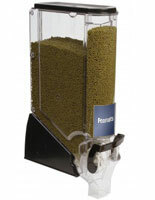 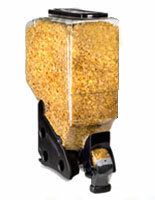 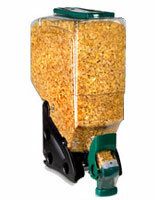 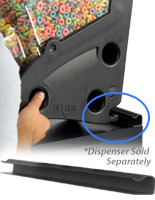 This candy bin is a gravity style dispenser that is designed to store up to (5) full gallons of dried foods including coffee beans, grains, legumes, dry cereals, pasta, nuts, and candies. 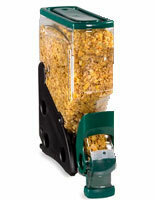 The main container is fabricated from clear polycarbonate and has a black base, spout, handle and lid. 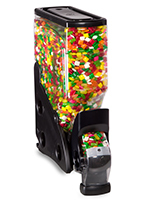 The candy bin is perfect for storing and dispensing goods in many different settings such as supermarkets, health food stores, retail stores, hospitality events, and more. 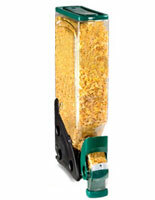 Included are four flow settings and a 6" x 4" label holder for displaying pricing or contents. 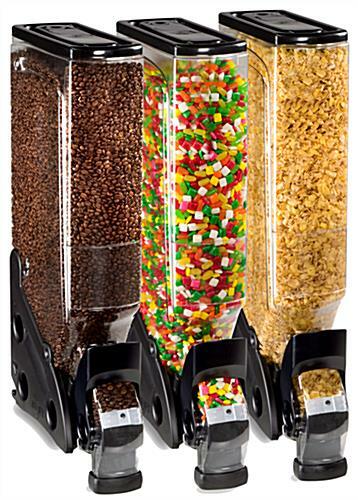 Our candy bin can be used as a single unit or in conjunction with other bins as part of a modular display. 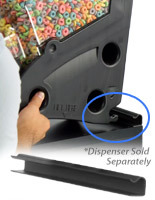 5.3" x 27.0" x 11.5"